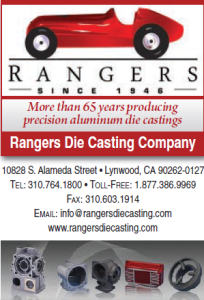 Rangers Die Casting is dedicated to providing high quality parts for our customers delivered on time and on budget.We have always been a competitively-priced die casting partner for customers. And we have long believed that the most cost-efficient foundry operations are those that adhere to best practices for protecting the environment. For example, Rangers has always been smart about recycling and proper disposal of industrial wastes. Rangers is proud to announce we have earned the ISO 14001 Certification for Environmental Management Practices. “Achieving ISO 14001 Certification demonstrates our continuing and long-standing commitment to the environment and safe working practices here at Ranger Die Casting,” he added. Conserving valuable material and energy resources. Eliminating or minimizing impacts on the environment. 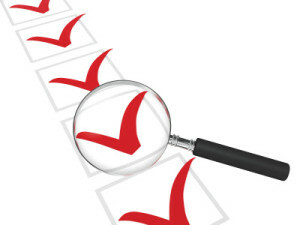 Complying with safety and environmental laws, regulations and other requirements. ISO 14001 Certification is our assurance the parts we produce for you have been manufactured under conditions that meet or exceed the latest standards for environmental health and safety. This certification means you never have to worry about negative publicity or pollution in the production of your die cast components. “ISO 14001 Certification is one more reason to ‘Buy American’ through Rangers,” noted Larry Larson. What Goes Into a Rangers Quote? When you send Rangers a bid request, we go to work immediately to determine the costs involved in producing your component. Here is a list of the things we look at. Labor: We carefully analyze the time required for each step in the process including mold making, casting, and cleaning up the finished part. If value added services such as heat treating, machining or finishing are part of the bid, we plan the most efficient way to move your parts through our production line to minimize labor costs. Materials: The amount of material we need to pour in order to produce your component is more than the volume of the finished part itself. During the bid process, we study your design carefully to look for ways to minimize this extra material. By developing the most efficient mold design, we may reduce the total volume of metal required for the pour and also minimize the cleanup of your parts. The result is lower metal costs for you. Setup: This is the real time we need to get our equipment ready to cast your components. Considerations during the bid process include the time needed due to the batch size and the number of parts to be produced for you. Obviously low volume production results in a higher per part cost due to set up time than high run production.We will consult with you to determine the optimum run size based on your parts requirements and most cost-efficient production. Tooling: Besides the cost of making your tooling, we have to consider the cost of wear on the tool during parts production and the resulting repair or replacement costs. Energy: We calculate the energy needed to raise the metal from room temperature to melt temperature in order to pour your part. Factors include furnace efficiency and the electricity rate. Tooling: Does the die caster understand your tooling requirements? Your die caster can offer suggestions to reduce tooling costs through better tooling or part design. Check that the tooling cost includes everything necessary for building your tool. Ask about any additional services that will be necessary. Engineering: Verify that engineering time is included in the bid. This involves time necessary to work with you to determine the optimum tool design for your component. It is essential that die cast engineers have a full understanding of your part concept and performance requirements for the end component. Process Simulation: Your die caster should perform an analysis to predict and optimize metal flow, air entrapment, metal velocity, thermal balance, hotspots and other issues that can arise during the die casting process. Proper preparation assures an efficient die cast design, shortens lead times and optimizes production costs. Finishing: Whether you plan to use the services of your die caster to finish your parts or will be performing finishing operations in house, make certain your die caster understands the stresses that will be applied to your components during the finishing operations. If your die caster is bidding the finishing steps, then finishing requirements not only affects alloy selection, but also the workflow through the die caster’s plant. The Environmental Protection Agency soon will release a number of regulations designed to improve the environment and fight global warming. Among these is a proposal to tighten limits on smog-causing ozone. While the goal of these new regulationsis admirable, some business groups have expressed concern that this particular ruling on smog control could become the most expensive federal regulation of all time. December 19, 2014 – Regulating the disposal of toxic coal ash from power plants. January 1, 2015 – Prohibition from polluting the air of downwind neighbors. January 8, 2015 – Restriction of greenhouse gas emissions from future power plants. We’re here to serve you with the finest in aluminum die casting. Let us know about your plans and challenges for 2015 so we can help.